There are thousands of real estate brokers and more than 35,000 active real estate agents in the Metro Atlanta area alone. Brokerages can range in size from independent one-man operations, to large companies with thousands of agents and hundreds of support staff. These residential real estate companies have agents who specialize in all types of property, including: single family homes, condos, townhomes, land, lots, multi-family, investment properties, vacation homes and more. This article includes the top residential real estate brokers in Atlanta by firm type, including: large brokerages, luxury brokerages, and boutique/specialty brokerages. I've also included a section about brokerage fees and how they work. Large real estate firms typically have hundreds of agents and multiple office locations throughout the city. Many of these brokerages have brand affiliations with some of the most well known real estate companies in the nation. With more than 600 REALTORS® in Georgia, Atlanta Communities is a full service real estate brokerage that covers all of Metro Atlanta. Atlanta Communities specializes in both residential and commercial real estate sales. With five Metro Atlanta office locations, it’s easy to find Atlanta Communities, whether you live in Dunwoody, Midtown, Kennesaw, West Cobb, or Woodstock. Compared to other Atlanta real estate brokerages, Berkshire Hathaway Home Services is relatively new. However, they have risen to the top quickly and are currently considered one of the largest and most successful real estate organizations in the country. They achieved this by putting clients first, by being dedicated to helping buyers, sellers, and investors realize their potential and dreams. Not only does Berkshire Hathaway invest in their clients, but they also invest in their REALTORS®. They provide agents with the tools and training needed to take their business to the next level; this is a continual process that allows Berkshire Hathaway agents to thrive. For this reason, and many others, Berkshire Hathaway was ranked by the Atlanta Business Chronicle as the #1 residential real estate company in Metro Atlanta for three years running. Since 1979, Metro Brokers has been helping agents be better at their job than they could be at any other firm. This business model has led to Metro Brokers opening 25 locations in Greater Atlanta with more than 1900 real estate agents. Technology is a big part of life at Metro Brokers; with training programs, listing tools, and business strategies online and available to each and every agent, it’s no wonder Metro Brokers is one of the most popular brokerages in the United States. Metro Brokers began with one office and only a few sales. Eventually, Kevin Levent, President and CEO, grew the company into a full service real estate company and, in 2009, partnered with Better Homes and Gardens Real Estate. This merger gave Metro Brokers a better foothold in Atlanta and nationwide because of name recognition – everyone has heard of Better Homes and Gardens, haven’t they? Perhaps this is one of the many reasons why Metro Brokers is one of the most popular and well-known real estate brands in Atlanta. With more than 300 agents in Georgia, Chapman Hall Realtors is a popular, full-service brokerage that most Georgians will recognize. Chapman Hall takes pride in their agents because of the wide array of knowledge and passion that each one brings to the table. This is only the first step in Chapman Hall’s goal – to grow through innovation and exceptional customer service. Chapman Hall values ethical business practices and ensures that each member of the team, from the top producing agent down to the administrative assistant, maintains a strict code of ethics. This is why Chapman Hall has been so successful in the Atlanta market. You, as a buyer or seller, can trust these agents. You trust that they’re doing the right thing in the transaction, you trust that they have your best interests at heart, and you trust that the deal you’re making with them will be the best decision of your life. Ask anyone who has worked or does work at Keller Williams, and they’ll tell you that the resources they provide for their agents far surpasses any other brokerage. From one-on-one training to group classes to a multitude of online topics, forums, and videos, Keller Williams takes care of its agents. And, on the flip side, their agents take care of their clients. The website says, “Our primary role is to help agents grow their own businesses – beyond simply selling real estate. That’s why we stand behind our agents, not in front of them.” The word team is bantered around quite frequently, as is family. Keller Williams believes that when one person succeeds, everyone succeeds, and that supportive atmosphere fosters some of the most successful real estate agents in the country, as well as in Atlanta. Keller Williams has more than 25 offices in North Georgia alone, all filled with enthusiastic agents willing to help you make the biggest decision of your entire life. With the training and support these agents get, why wouldn’t you choose a Keller Williams agent to be your REALTOR®? With more than 1200 agents and brokers, Palmerhouse Properties is the 17th largest brokerage in Georgia. These agents know the city like the back of their hand, and they use that knowledge to find clients perfect properties. Real estate is a business, first and foremost. And Palmerhouse Properties knows that they can earn trust by treating every transaction as such. Not only is Palmerhouse Properties dedicated to professional, respectful transactions, but also to community affairs. Members of each brokerage routinely volunteer towards both civic and community improvement; both money and time is volunteered. The company has eight locations in the Atlanta area and two locations in Florida. The first Re/Max office was opened in Denver, Colorado in 1973. Since then, the brokerage has grown into a recognizable brand with more than 100,000 agents and associates. In Metro Atlanta, the company currently has 39 offices and thousands of active real estate agents. The system for growth hasn’t changed much over the past 40 years – attract productive agents. Provide them with education and support, along with other unique advantages. Thrive. Solid Source had one agent in 2003, when it first opened. Five years later, however, Solid Source had grown exponentially into a brand with eight offices, 2000 agents, and an award for Fastest Growing Privately Held Firm. Solid Source grew so quickly because of its approach towards relationships – how can we enhance the relationship between client and REALTOR®? How can we make the experience at Solid Source better than at another competing brokerage? Easy. They hold their agents accountable and demand professionalism. All staff and office support have a real estate license. And the company makes a point of being debt free. Solid Source is also affiliated with three ministries in Africa, Wiphan Care Ministries, Champions United, and 410 Bridge. These organizations spend their time providing food and education to orphans and women in Zambia, using soccer in order to mentor children in Uganda, and building self-sustaining communities throughout the entire continent of Africa. Solid Source has seven offices all over North Georgia, making access to professional, well-trained REALTORS® easy. These brokerages generally sell properties that are priced in the upper tier of the market, but may also work with "non-luxury" properties as well. Their marketing platforms, company branding, and sales approach are typically geared toward serving buyers and sellers of the area's most exceptional homes. Atlanta Fine Homes Sotheby’s lists its three main creeds as passion, experience, and reputation. Each agent and team member is passionate about their job, and when one brings passion to work, it shows. It shows, mainly, in a customer’s experience, which Sotheby’s hopes is the best anywhere. This leads to one of the best reputations in Atlanta. Atlanta Fine Home’s currently has three offices in the North Atlanta area. 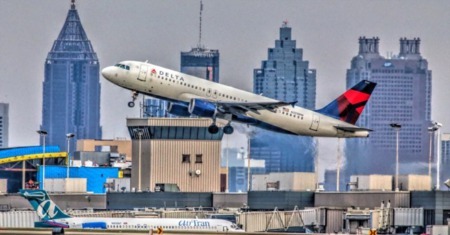 The Buckhead office on Northside Drive and the Intown office on Peachtree Street serves the metro area while the Alpharetta office, on Sanctuary Parkway, serves the clients outside of the city. Atlanta Fine Home’s was formed by Jenny Pruitt, David Boehmig, and Nancy See only a short time ago. By 2007, Atlanta Fine Home’s was awarded an affiliation with Sotheby’s; by 2009, the firm was expanded and the Intown office opened in 2011. Since then, their reputation has grown. Everyone knows the Sotheby’s name, and everyone wants to work with the team that is attached to that name. Atlanta Fine Home’s knows and understands this, and making sure each and every customer has an unparalleled experience keeps Atlanta Fine Home’s in one of the top broker slots in Atlanta. Formed in 2006, Beacham & Company has quickly risen to the forefront of Atlanta real estate. Glennis Beacham, founder, knew that Atlanta needed a smaller, more specialized, boutique real estate company. She knew the luxury property sellers and buyers wanted something different than the mass produced marketing materials and websites. So from the ground up, starting with Beacham & Company’s logo, she designed everything with an air of sophistication; high quality was the number one requirement. Her logo was what got everyone's attention. What followed was a swift rise to the top of the sea of real estate agents. Beacham & Company follow’s Glennis Beacham’s tenets to this day, providing their luxury clients an experience unlike any other. Beacham & Company can be found on Peachtree Road in Buckhead. Dorsey Alston Realtors was founded in 1947 by Roy Dorsey and Robert Alston, and in the years since has distinguished itself as one of the best real estate brokerages in the business. While they serve all of Atlanta, Dorsey Alston specializes in Atlanta, Alpharetta, Ansley Park, Brookhaven, Brookwood Hills, Buckhead, Dunwoody, East Cobb, Marietta, Roswell, Sandy Springs, and Vinings. Dorsey Alston agents are intelligent, knowledgeable, and committed to a level of customer service you’d be hard pressed to find elsewhere. Additionally, Dorsey Alston is committed to the community. The types of charities that Dorsey Alston serves varies from year to year, yet their continuing commitment to bettering the community around them is admirable and second to none. Dorsey Alston has two offices in the Metro Atlanta area, one in Buckhead on West Paces Ferry Road and the other in East Cobb on Johnson Ferry Road. Both the oldest and largest real estate firm in Atlanta, Harry Norman employees more than 1000 real estate professionals in 12 offices around the region, not to mention satellite and franchise offices. Since forming in 1930, Harry Norman has established itself as Atlanta’s authority on real estate with over 80 years experience to back it up. Everyone’s heard of Harry Norman, even if just by driving by its signs. Harry Norman is a full service real estate firm and offers things to clients that other brokerages just don’t do. For instance, Harry Norman’s website contains a wealth of information. Whether buying, selling, or just looking for information, you’ll learn something when you visit them online. They write an often updated blog, sharing industry news and information. They publish a magazine. They share housing trends and provide a video resource center. At Harry Norman, it’s all about sharing their vast array of knowledge with their clients. They have special marketing materials for different types of properties, resale or new construction or luxury. Boutique and specialty brokerages cater to the buyers and sellers looking for something a little different from their broker. Whether you're looking for discounted brokerage fees or an agent specializing in very unique properties, these real estate firms have a wide range of offerings. Duffy Realty is a specialty broker in the Atlanta area who approaches selling differently. They charge a small commission, saving the client money yet still giving them the full service experience they’d expect from a larger firm. Duffy’s model has worked; they are a mainstay on WSB radio and 680 The Fan. Whether you’re struggling with a short sale or just want to buy your dream home, Duffy Realty has you covered. Founded in 1977, Engel & Volkers has grown into a worldwide brand with 65 offices in 39 countries on five continents and around 5900 employees. Their model is service – why would a client recommend or return for a new deal if the service they received the first time around wasn’t exemplary? This is why Engel & Volkers provides each agent with intensive training and a continuing level of quality assurance. When mistakes are made, they are rectified quickly. Ongoing education is key, and Engel & Volkers has that down to a science. Engel & Volkers not only conduct real estate business but also deal in commercial yachts and aircraft sales. Commercial real estate business is conducted, as well, with retail space, office and industrial space, investment properties, multi-purpose apartment and office blogs, and property portfolios being the main source of business in that sector. Engel & Volkers has two Metro Atlanta offices, one in Virginia-Highland and the other in Buckhead. According to their website, EXP Realty is committed to helping good things happen for other people. Which makes sense – EXP Realty is ahead of its time, in more ways than one. EXP Realty is an agent-owned firm. They gather real estate agents from around the world who want to build their own business. They invite these agents to use their cloud office environment, which keeps every agent in the loop and constant contact with other agents throughout the world. It’s a great resource to have, and allows individual agents to build their own brand independently and have an umbrella of knowledge. EXP has two offices in North Georgia, one in Atlanta and the other in Gainesville. From its custom home building program to buying the home of your dreams, Muffley & Associates has it covered. Their large team specializes in luxury listings Intown, and their Virginia-Highland office makes it easy to live in Midtown Atlanta. Other areas served include Ansley Park, Ashford Park, Buckhead, Brookhaven, Brookhaven Heights, Druid Hills, Inman Park, Morningside, Smyrna, Sandy Springs, and Vinings. 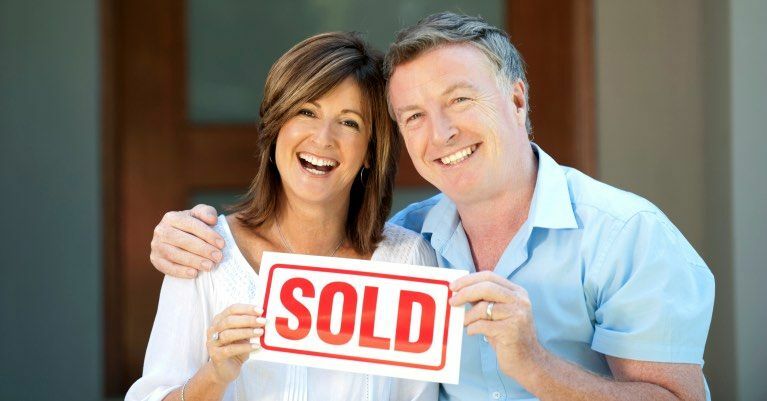 With their proven marketing strategies and upscale processes, selling a home is easy. When buying a home, Muffley & Associates agents are flexible and knowledgeable about any area you might want to land in. And if you want to build instead of buy? Muffley & Associates has connections to the best designers, builders, and architects in the business. You’ll be in good hands. Muffley & Associates has one office location, in Virginia-Highland on Virginia Avenue. It’s been well documented that buying or selling a home can be stressful. People choose to go without an agent because they don’t want to feel the pressure from that agent, which makes the process even more stressful. Redfin, however, understands. Originally a map-based real estate search engine, Redfin has revolutionized the real estate world. Instead of being traditional salesmen (a trait so many people dislike), they instead focus on the person, the client, the person doing the buying and selling. Customers are put first. Since they began in technology, Redfin brought the most advanced technology into business with them, providing their customers with tools they wouldn’t be able to find elsewhere. Redfin has two Georgia offices, one in Alpharetta and one in Atlanta. Brokerages make their money by charging clients a fee (commission) to broker real estate transactions. There is no set or standard commission, and fees charged may vary depending on the transaction type and individual broker's fee requirements. The brokerage fee charged to clients is typically split between the brokerage and the agent. The split structure varies by company, some could be 50/50, while others may only charge a flat fee per transaction. In addition, many brokerages also charge their agents monthly fees. These monthly fees can cover a variety of different services offered to agents, including: technology services, marketing, office space, training classes, support staff, E&O insurance, MLS fees and more. Whether you're looking to buy or sell a home, or if you're interested in a career as a real estate agent, we can help. Contact us to learn about some of the amazing opportunities the Atlanta real estate market has to offer.